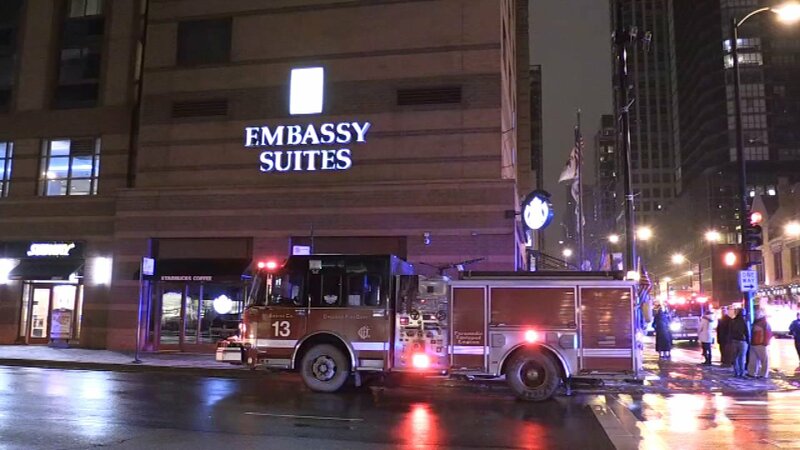 CHICAGO (WLS) -- A fire at a Chicago hotel forced guests out of their beds and into the cold Monday morning. The fire happened at the Embassy Suites at 600 North State Street. A guest from Kentucky said she woke up and heard sirens, but initially thought the fire was somewhere else. Then she heard an announcement that guests on the 11th floor should get out of the building. "When we opened our door and there was smoke everywhere and you could smell it and I just said let's get out of here. It was scary, very smoky very stinky and we got out of there," she said. Warming buses were brought in for the guests forced to leave their rooms.